An unsung paradise for avid kiteboarders, Bermuda has the perfect combination of elements to support wind-centered adventures. Especially in winter, steady winds and a temperate climate make the island an ideal destination for kiteboarding – as do un-crowded beaches, pristine turquoise waters, a passionate and close-knit windsports community and the surprisingly short travel time from most eastern U.S. cities. No matter where you end up launching on a given day, you're in for spectacular water views you won't find anywhere else. Disappear to Bermuda and experience the allure of kiteboarding out here. How’s the wind? What size kite are you rigging? While it’s rare for a kiteboarder to go far without their own quiver – that’s equipment for the layman – Glen Mello at Island Winds can provide a variety of kite sizes, boards, harnesses and wetsuits for those caught out here without gear when the wind unexpectedly calls. Well-seasoned in board sports, Island Winds is the leading provider of watersports equipment in Bermuda. Bring a sense of adventure; rent everything else – from hydrofoils to fast and responsive twin tips, harnesses, accessories, kites and more. The best way to learn to fly: take a lesson. The sport has come a long way from its rugged beginnings, and getting the hang of it is safer and easier than ever. Instructor and windsports enthusiast Jay Riihiluoma of Upwind Sports teaches across the island and is well versed in the best spots to ride. Somerset Long Bay is a good place to start – not to mention a great place for spotting (and dodging) sea turtles. Once you're confident, it’s important to get out often and always in the company of kiters more advanced than you. With a range of boards that foster everything from high speeds to thrilling jumps. there are more than enough variations to keep kiteboarding exciting for years to come. With crystal clear waters, sandy shores and a warm, sub-tropical climate, Bermuda is a year-round paradise for watersports. Home to a community of passionate and motivated kitesurfers of all ages, genders and expertise, you’ll never be without a buddy. Connect with them through the Bermuda Kiteboarding Facebook page for tips, secret kiting spots and can't-miss sites to explore. 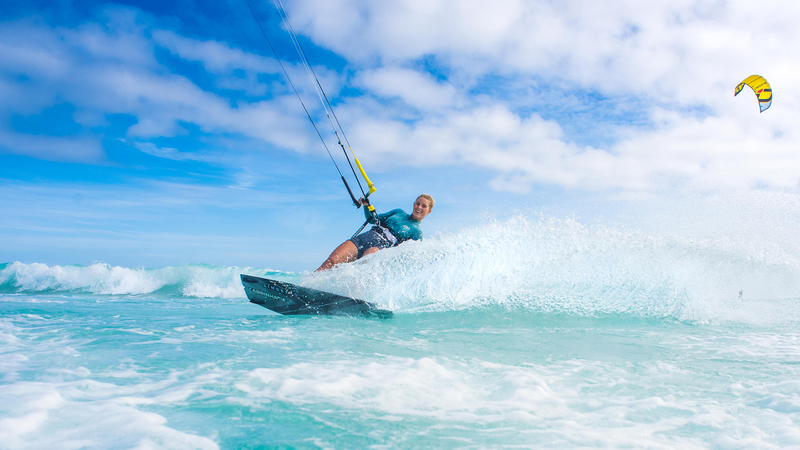 From the expansive, dramatic and rocky waterscape of Horsehoe Bay to the remote beaches of Cooper’s Island, Bermuda is not short of options for a session no matter which way the wind blows. To avoid getting skunked, Windguru is an accurate resource for the island’s water lovers giving predictions up to five days in advance. Follow a group of pro kiters from around the world as they soak up Bermuda's wind, water and waves. See photos and video footage from their unforgettable sessions at Horseshoe Bay Beach, Elbow Beach, Somerset Long Bay Beach and Cooper's Island Nature Reserve.